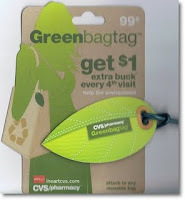 If you are new to shopping at CVS and would like some tips, check out this article here and here. If you need coupons for your “deals” I recommend My Coupon Hunter! 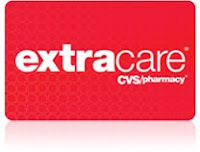 If you haven’t already, register your CVS Extra Care card here and you should receive a $4 off a $20 purchase coupon in your e-mail. This also registers you to receive other e-mail coupons! Do you really do multiple transactions at your stores? In the past, I usually had $20-30 ECB on hand, so I didn’t have to break up my transactions as much as I did when I first started, but now that I am starting over, yes, I am doing multiple transactions. If you are doing multiple transactions, I recommend that you let the cashier know up front that is what you are planning to do. If there are several people in line, let them go in between your transactions. This gives you time to clip your ECBs and get prepared for your next transaction. My store was out of all the freebie items first thing this morning. Can I get a raincheck? This all depends on your store. I have contacted corporate about this before because some stores in my area give rainchecks and others won’t. According to corporate, this is up to the individual stores. I bought the wrong item or I bought the RIGHT item and my ECB didn’t print. What can I do? If you bought the right item, show the store clerk your ad and your receipt. They should be able to manually print your ECB at the store. If they don’t know how, you can call customer service and they can add one to your account that will print within 48 hours (you have to wait 48 hours from your purchase time to do this so they can “see” your transaction in their computer). If you bought the wrong item and didn’t receive ECBs, you can do a return and purchase the correct item. 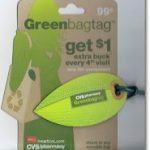 If you paid using ECBs, they will have to give you money on a gift card.